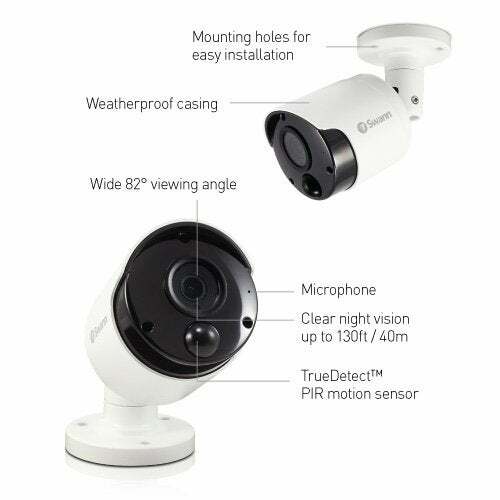 The Swann’s True Detect with 8 Bullet Cameras feature PIR Thermal Sensing technology which detects motion by heat, such as from people and cars, to trigger recording and push notifications. 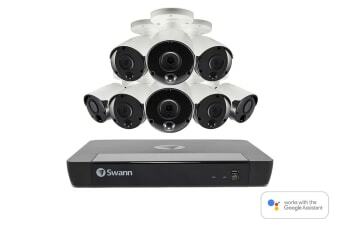 This Swann’s True Detect with 8 Bullet Cameras virtually eliminates false triggers, like plants moving with the wind, to only capture events with security relevance. Get amazing image definition with 5 Megapixels, which is 2.4x better than 1080p Full HD (2MP). Zoom in closer with incredible clarity to license plates, facial features and clothing patterns. 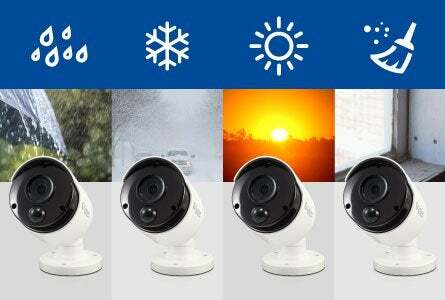 The 8 IP security cameras come with Ethernet cables and are weatherproof, built tough for the outdoors or indoors. See in the dark up to 40 metres with the camera’s powerful infrared night vision. 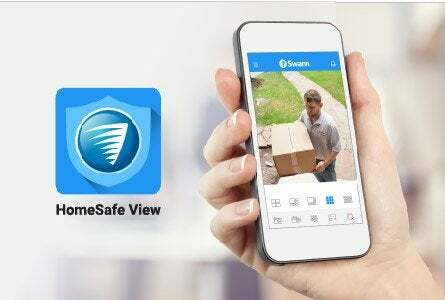 You can also set up the security system to take still images and save them to your personal Dropbox account in the cloud. 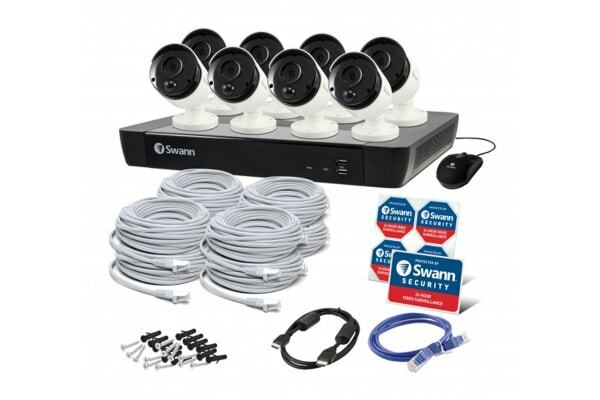 Enjoy easy camera installation with Power over Ethernet (PoE) as each camera is connected via Cat 5 network cable to transmit power, video and audio. The camera comes with a massive 2TB Hard Disk Drive which is designed especially for continuous surveillance recording. 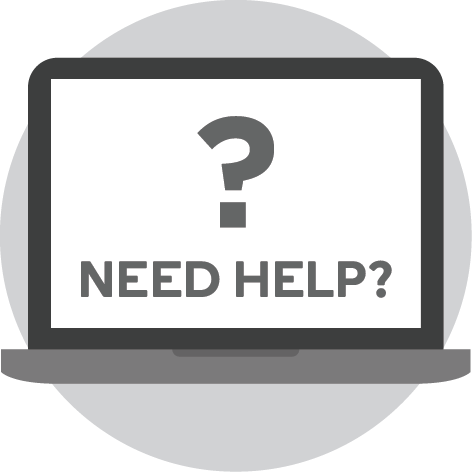 Easily transfer incident video files to a USB stick or to a computer on your network. With such massive storage, you can come back from your long vacation and still find recordings from a while back. No matter if it’s day or night, you’ll be able to see everything up to 130ft (40m) with the powerful infrared night vision. At nightfall, the cameras automatically switch to night vision and record in black and white, so that you’re sure to record anyone roaming around your property even if it’s 3 o’clock in the morning. With Google Assistant, you can now enjoy smarter home security. 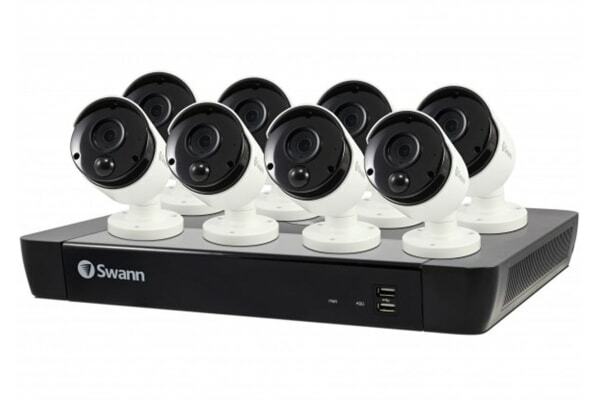 Swann’s voice assistant-enabled systems and cameras now let you see what your cameras see, using voice commands to stream directly from your video cameras to your Smart TV.